Does it seem like everyone you know is having a baby? I’m in that stage of life right now, which means I’m often in need of baby gifts. 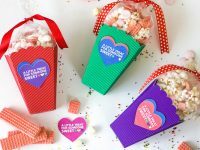 I love giving gifts, especially personalized and handmade gifts. 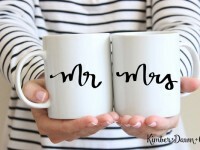 I think this makes gifts so much more special! 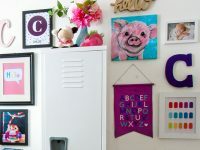 If you’re looking for ideas for DIY baby gifts, you’ve come to the right place. After searching for creative gift ideas for the newborns in my life, I collected my favorites to share with you. 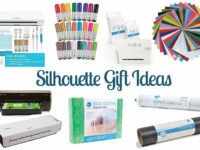 These are all gifts you can make with a cutting machine, whether that’s a Silhouette or a Cricut. Having a Silhouette or Circuit makes it extremely easy to create DIY baby gifts on a budget. Click on the blue links in each title to be taken to the full project tutorial! 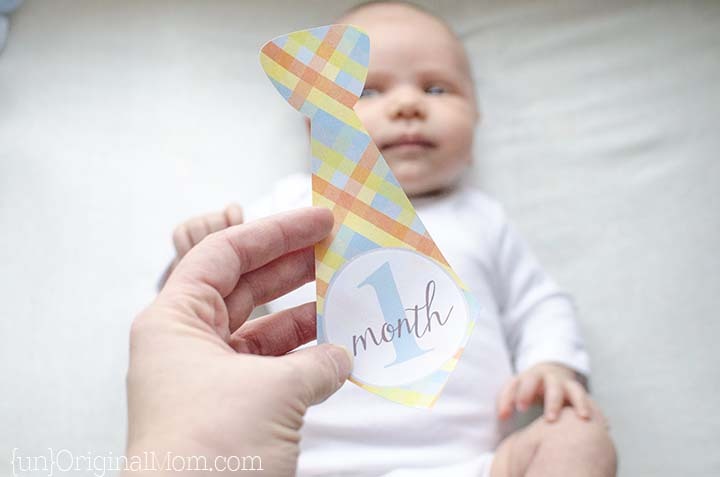 I love these little tie shaped stickers to use in photos of the baby’s first year. Your e-cutter’s print and cut function makes it easy to cut out the tie shape.